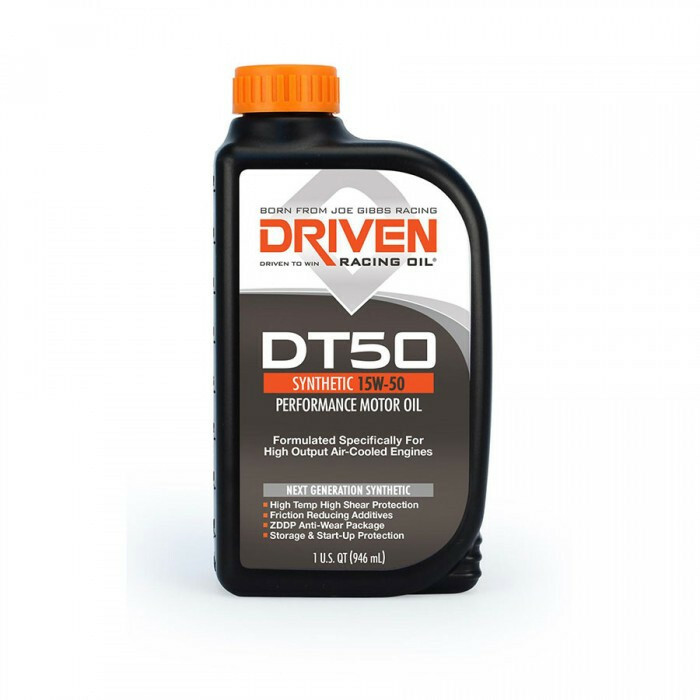 Originally co-developed by Joe Gibbs Racing Driven Oils and Raby's Aircooled Technology, DT50 is designed for high performance, vintage air-cooled engines like those found in Porsche 356, 911, 912, and 914 models. Utilizes advanced synthetic base oils to provide high temperature protection and high shear protection for high output, performance engines. High zinc content protects cams and lifters. DT50 utilizes advanced mPAO synthtetic base oils to provide protection for high operating temperature turbocharged engines. Also ideal for Porsche and Volkswagen air-cooled engines. Compatible with E85 and water/methanol injection. Viscosity typical of 15W-50. Get FREE bottle of DRIVEN Carb Defender with purchase of DT40 or DT50 oil. Add your Carb Defender bottle to cart along with your oil and use code FREEDRIVEN at checkout. For years we have tested many lubricants by various manufacturers to ensure we are offering our customers the best protection for their aircooled and watercooled engines, but now, we can offer the first oils specifically developed to meet our requirements that has been tested in our aircooled and watercooled engines! LN Engineering proudly offers the complete line of Joe Gibbs Driven lubricants and automotive fluids. In development for several years, starting February 2012 we will now offer DT40, a high zinc formulation for modern European Sports Cars in a 5w40 viscosity, specifically engineered for street use superior to any oil LN Engineering has previously used or recommended and has been thoroughly tested by Flat 6 Innovations and Jake Raby, coinciding with their joint development of the M96 and M97 engine platform. Additionally, for aircooled models, we now offer DT50, a high zinc formulation for older aircooled engines in a 15w50 viscosity, again specifically tested by Aircooled Technology, another Raby Enterprises company. For vehicles where DT40 is used on the street, for track use Joe Gibbs only recommends use of their XP9 race oil, specifically developed to resist thinning at the higher temperatures experienced by the M96 engine and also has superior foaming and aeration control, leading to improved oil pressure on the track and less strain on the AOS. Joe Gibbs offers complete engine lubrication solution including assembly grease and break-in oils, developed to provide the best protection possible for your engine and together offers the only lubricants specifically developed and tested for this target market. Joe Gibbs BR (break-in oil) is used by Joe Gibbs Racing to break-in and dyno all their engines, this petroleum oil provides optimum levels of zinc and phosphorus for flat-tappet engines. The additive package promotes ring seal and provides maximum protection available for cams and lifters during initial break-in and does not require additional additives. Above providing the highest quality products for our engines, Joe Gibbs has invested in providing excellent technical information regarding lubricants and how their selection is critical. 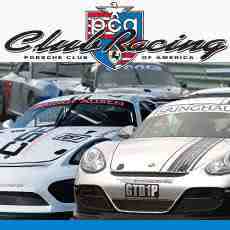 For those interested, we have a Racing Oil "101" available as well as Joe Gibb's Lubrication Guide, both in PDF format. *For Porsche approved lubricant we use and recommend Motul 8100 X-Cess 5w40.